Suddcorp Solutions: Which Platform to Start With on Social Media? There is currently an astounding 350+ different social media channels available to choose from. If you are new to social media choosing which social media channel to start with is a little daunting. The task of starting is like buying a car. There are so many shapes and sizes to choose from along with features, restrictions and price tag make things even more interesting. What model to choose which one of the 350 cars in the dealer's lot is right for me? Of course the salesman is glad to point you in the right direction, but can you really trust that the tweed suit wearing shyster point you in the right direction? Most customers will do some preliminary research by selecting features they need, which ones are nice but not necessarily needed and what their price tag is. As well, car customers are likely to review various sources of information to get the full picture before putting any money down for their new sweet ride. 1. What are the basic requirements to have an account with this social media platform? 2. What are the restrictions in using the platform? 3. What advantages are there to this social media platform? 4. What disadvantages are there to this social media platform and how can I minimize or workaround them? Each of these questions are important to consider for those considering engaging a social media channel. But what of those where social media is a totally new and scary place to be. Which platform should the total beginner consider using first to gain experience? 1. No character limits like Twitter on each posting to worry about. 2. No template design set up choosing like a blog, only profile and header photos to navigate. 3. Has the most worldwide users which makes it easy to find and connect with others. 4. A lot of research and helpful tips are available either in book or online article format. The worry of many new computer users or computer application users is supposedly breaking it or doing something wrong that will get you in trouble. A couple of years ago before founding Suddcorp Solutions, one user we were working with was worried about creating a route map for the next day for one of the drivers. Sitting down at the computer was also a little troublesome as there were worries while she thought about what might happen if she technologically ruined the computer. We guided her to Google Maps and reassured her that it would be well. In fact, if she broke Google Maps, a couple of highly paid engineers would be really interested in how she did it. From there on it was no problem in using Google Maps for our now fearless friend. The same goes for Facebook, Mark Zuckerberg's computer engineering team would probably be quite interested in how a newbie to Facebook was able to run into technological issues. Facebook to the average user is nearly unbreakable as it has been successfully used by billions of users worldwide in a variety of contexts. So there should be no fear in using it. However, before starting there should be some contemplation and gathering of information to make the average user comfortable for not just only signing up with Facebook but any social media platform. Profile Photo: Most social media platforms use a profile photo. It's easier to be recognized if a common profile photo is used across many social networks as you expand. There are issues to consider when selecting a profile photo, but these are easy to overcome. User Name: Hopefully your own personal name is still available on Facebook to use as a login. This makes it easier for those looking for you to find you. Otherwise, consider using a variation by perhaps adding a middle initial or hyphenated married last name. E-mail: Which e-mail address will you use to confirm your identity and receive notifications, if needed, from a social media platform? Public vs. Private: What information are you willing to share? Facebook can be a little pushy at times to hand over information like your birthday, marital status and family information. What are you willing to give Facebook to display to the world and what information do you wish to keep private? 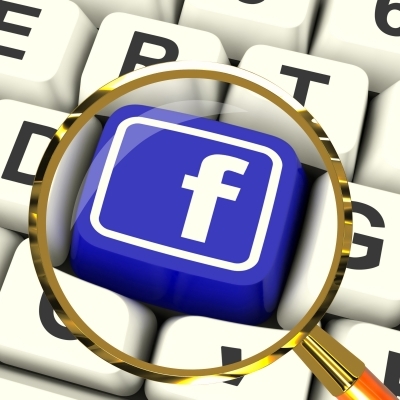 Facebook is a great way to investigate how social media works as it has many of the core components other social media networks also have. Facebook helps to see how users interact with each other, businesses use it to market their products or services and how different communities discuss issues and promote events. Facebook doesn't have many of the restrictions like the 140 character per post that Twitter has, the professional nature Linkedin possesses or niche market of say an online review site like Yelp! As well, Facebook makes it easy to post photos, add & read content, play games and invite others to join you at an event. With 1 billion plus users, Facebook has the user participation to ensure there is always something or someone new to interact with. Best part of all the platform is fairly user friendly for beginners and regular users to navigate along with the technological support available in case something goes horribly wrong. For business owners, it's probably best to start off with an experimental personal account. This way you can login and explore the different features of Facebook and many social media platforms without it affecting your personal brand. Most Facebook features are also customizable so if something doesn't look right, it can be fixed later on. Once familiar with basics of Facebook (e.g. posting content, pictures, etc.) and investigating what other business' are using the platform for, then feel free to go ahead and create your own business' Facebook page. Once you think you've mastered the basics of Facebook and raised your comfort level feel free to investigate one of the other 350+ platforms. There are quite a few out there, so choose the next one that might either be popular or is home to those that share your niche interests. Nervous about Facebook and Social Media? Suddcorp Solutions can help! Contact us today.